Sometimes wearing a lobster suit can change the entire game. I booked career presentation number 500 today, or at least close to number 500! I admit it’s not a perfect science. Not sure why it struck a sentimental cord with me but it did. Maybe it has to do with my being 53 years of age, the changing of seasons or watching my kids grow up faster than wheat in Melville, Saskatchewan. Worth noting, Melville was named for Charles Melville Hays, former General Manager of the Grand Trunk Railway which, if you know your 1970’s music, inspired the name of one of the greatest bands ever, Grand Funk Railroad. How is that for a water cooler fact! Okay, I digress. So, why am I all sentimental? I believe it has to do with my sitting down and thinking back on the presentations that transcended time and stayed with me. Presentations that stood out. Presentations that gave me more than I offered. I always loved presenting and coaching people up. I didn’t think it would become a full time gig until the spring of 1989. As a member of the Ottawa Rough Riders, I was often called on to host or attend events the organization would run or support. 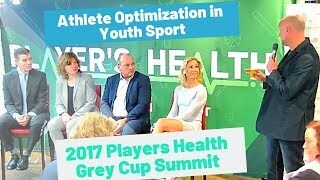 My boss at the time, Jo-Anne Polak, the only female GM in professional football and considered to be a marketing genius, decided the team should host a marquee fundraiser. With her roots in the East Coast, it made complete sense to host a lobster dinner. Great idea? To be honest, it was a good idea but to suggest it was great would have been a stretch. So, the team was going to host a lobster gala. The story doesn’t stop there. In addition to the team hosting the fundraiser, she suggested I serve as the event emcee and that I would work for free! Yep, no pay, which to be honest, I was okay with. Jo-Anne had become my official supplier of free game tickets so as gamblers say, her ticket supply and my working for free was a push. The wild card in all this was the very real possibility that, as my boss, she could have me traded to Winnipeg in a blink of an eye! Melville, SK I could kind of live with but Winterpeg? Umm…No. So, I really had no say in the matter so far. Then things took an interesting turn. Remember the part about her being a marketing genius? This is where the genius comes into play. 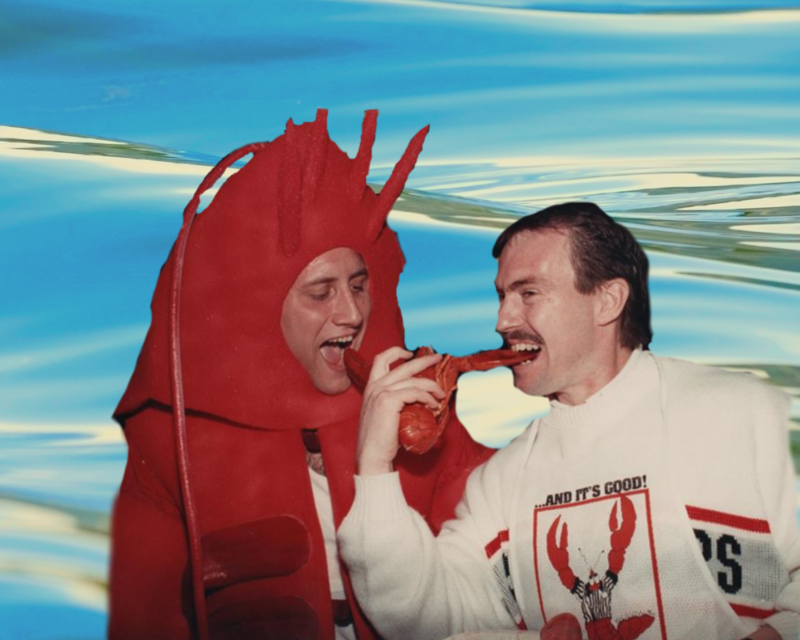 She suggests I emcee the event in a….wait for it….lobster suit! At first, I irresponsibly and irrationally said, “Sure, what the hell.”. Then the reality began to set in along with the discomfort. 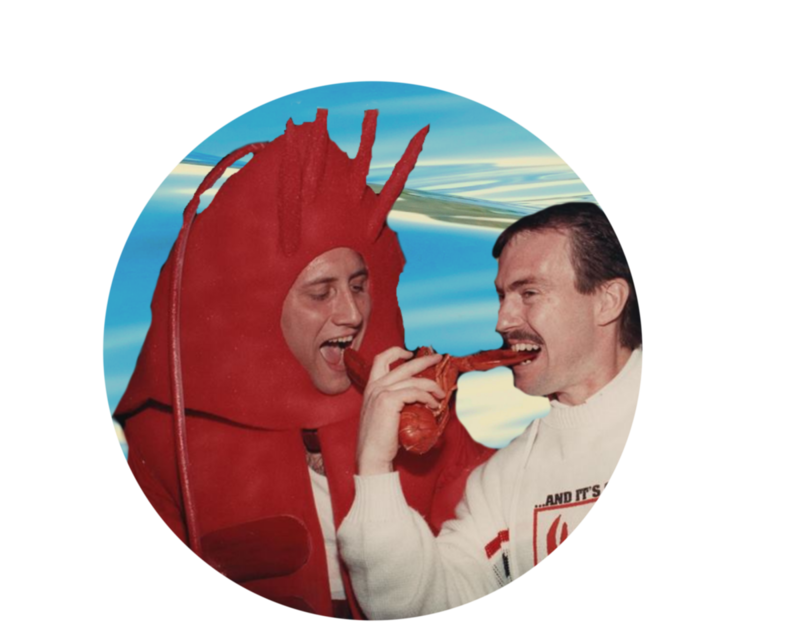 I had no worry about serving as emcee but had some hesitation when it came to dressing as a crustacean. Now, I could have worn a suit and tie or a team sweater and pulled it off but I knew that wouldn’t work. The fact of the matter was, I had to wear the lobster suit. It was meant to be. I was meant to wear the suit the same way King Arthur was destined to bare the sword Excalibur after it was handed to him by the lady of the lake. Many of you are likely thinking, “Strange women lying in ponds distributing swords is no basis for a system of government. Supreme executive power derives from a mandate from the masses, not from some farcical aquatic ceremony.” I agree and I admit that was borrowed from the movie, Monty Python and the Holy Grail. It doesn’t change the fact that the lobster suit and I were meant to be. On event day, I was piped into the Civic Center Assembly Hall by the Ottawa Fire Department Pipe and Drum, and it was then that I knew somehow, someway, I would dedicate my energy toward presenting. Teammate Dean Dorsey and I at the Ottawa Rough Riders Lobster Gala! Rather than embarrassingly make my way to the podium on stage, I opted to walk in like I was the heavyweight champion of the world. I chose to own the room before I even entered it. Before I even said a word to the sold out audience, I knew I had won. Initially, the suit was a tad uncomfortable but not from the perspective of fit but rather from the perspective of the experience being so new. Sure there were stares of astonishment from everyone in attendance, including teammates and my girlfriend, followed by laughter, but any concerns I had were far outweighed by what the moment brought me. Sometimes you need to stand up when everyone is sitting down. Sometimes, going with something new despite the discomfort is the way to go. Stepping out from the comfort zone and out of what we have worn in the past may be just what the doctor ordered. Having Jo-Anne there with a smile of affirmation certainly helped as well. The power that comes with self determination is significant to say the least. Today, when I am not introducing, “There is an “i” in Team” concepts or tailoring client specific strategies, I am doing my best to help my children find the courage to wear their lobster suits and discard them after they have learned what they needed from them. We are all going to spend our time doing something, so make sure it is something worth spending your time on. By doing so, you will find your “right place and right time”. Wearing that lobster suit opened doors to experiences that went beyond my ability to catch a football. Find your lobster suit and head upstream. You will be amazed at what you find on the horizon. 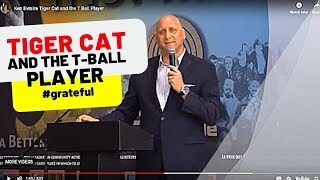 Author Ken EvrairePosted on January 9, 2019 February 22, 2019 Categories UncategorizedTags coach up, featured, lobster suit, Ottawa, rough riders, team build, TEAM BUILDING1 Comment on Find your lobster suit! 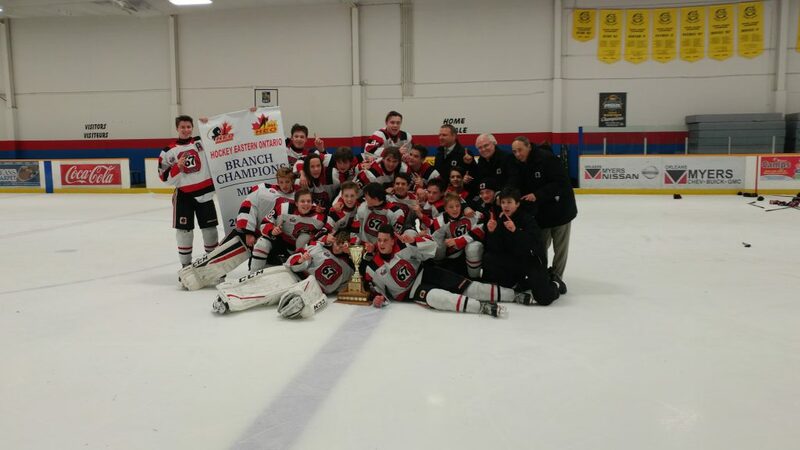 Thank you Ottawa 67’s AAA Minor Bantams – CHAMPIONS! There are many moments when I am amazed at the transformation a team can experience by simply buying in. I have seen it in the boardroom. I have seen it in career transition seminars. And now I have seen it in the Ottawa 67’s AAA Minor Bantam hockey team. Now, getting a room full of teenage boys to focus for any length of time can be challenging, to say the least, but this team was destined for great things! Head Coach Jim Cooke gets it! He understands the value of building the team and he understands that bringing a new voice to the locker room was the key. I signed on for 5 sessions, scheduled through the season. They were a very good team that could become great with a little help. I spoke to them about incremental growth, focus, the finite difference between winning and losing and the knowledge that it isn’t about their opponent but rather, it was all about them and what they do. They would reap what they sow…guaranteed! Tonight, they face the best team in the league in a do or die playoff game that will reward the winners with a trip to the semi-finals. The losing team would be done for the year. Like the Grey Cup Champion Ottawa REDBLACKS, the 67’s had an up and down regular season. 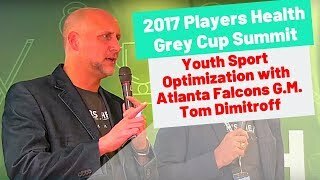 The focus was on the REDBLACKS being a team that had overcome challenges during the season and were battle tested, unlike the Stampeders. I asked them about the Stampeders not being punched in the face all season (literally and figuratively). They had not faced adversity like the REDBLACKS. Talk about a fun study of quiet confidence in an athlete and a team! The 67’s had 6 games left in the regular season. I showed them this video and I challenged them to go 5-1 and become the most dangerous team heading into the playoffs. I wanted them to become the team that no one wanted to play. They re-focused, promised an incremental improvement in their individual game that would benefit the team and guess what. They went 5-1 over their final 6 games. They eliminated the Ottawa Senators AAA in semi-final play and then overcame the Ottawa Valley Titans to win the title. Congrats to the boys and the coaching staff on a job well done! 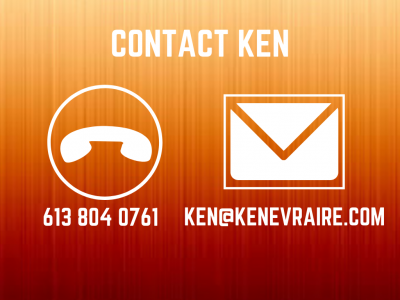 Author Ken EvrairePosted on March 8, 2017 April 5, 2018 Categories Ken's BlogTags coaching, coaching up, featured, leadership, Ottawa, ottawa 67's, STRATEGIC BUY IN, team buy inLeave a comment on Thank you Ottawa 67’s AAA Minor Bantams – CHAMPIONS! Tomato or Tamata? Know your team! Knowledge is knowing a tomato is a fruit…wisdom is knowing not to put it in a fruit salad!”. What a great line! You never know when you are going to find a pearl. Case in point with this line. I found it in a Steve Berry authored book titled “The 14th Colony”. Thank you! If you are responsible for leading a team this quote should resonate deeply within you because it is the cardinal rule of all cardinal rules when it comes to setting up others to succeed. 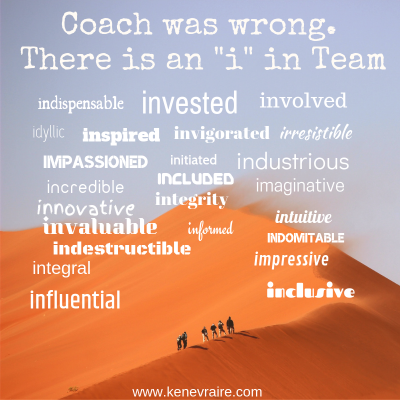 Knowing your team…understanding your team’s individual and cumulative skill set is always the first step. Do you have a roomful of tomato’s, apples, apples or rutabagas? 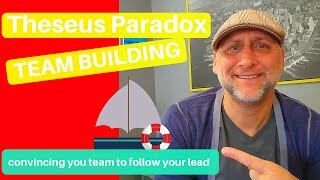 The odds are you have a veritable mix and if you fail to acknowledge the exact make-up of your team you are destined to fail because somewhere along the way you are going to ask a tomato to do something that a potato does quite well. Oversimplified? Certainly but it is the most common flaw of leadership. How can you build anything without looking around and asking if you have the ingredients, components, pieces, tools etc.? It doesn’t matter if you are building a team, a cake, an airplane or one of those uber complicated IKEA closets. So, why do so many leaders get it wrong coming out of the gate? They have the best of intentions and they certainly want to succeed but getting locked and loaded on one way of accomplishing goals is the fatal flaw. The ability to adapt is everything. Tom Brady and the New England Patriots have won appeared in 9 Super Bowls and won 5 (to the shagrin of all non-Patriot football fans)! They are known for doing things the “the Patriot way”. The Patriot way is the unwavering understanding that adapting to all challenges and doing all you can to put your players in a position to succeed is key. They won’t always succeed but more often than naught..they won’t fail. No one player is the hero every Sunday afternoon. Week in, week out, they find ways to win with different chess pieces on the board. As soon as you think you have the Patriots figured out…they adjust and offer a new challenge to the opposition. They dictate terms and the ability to do so hinges on the knowing what every player can do and cannot do. So, why hasn’t every team simply copied the Patriots? It’s because the Patriot way requires patience, perseverance, precision and the willingness to make the tough decision. Its a long haul and many teams need to win today which forces their hand. Patience is not a commodity they own. The Patriots are always in a position to manage the inevitable, difficult times with clarity, with patience and precision. The bar of competency is never lowered! If a player is injured, traded or retires the adaptation begins. They do not rebuild…they re-load. As a team builder and movie buff, I am always looking for storylines that inspire. The movie “Apollo 13” ranks among my top choices. Plenty of very smart people want to work at NASA…very few people actually get to work there because NASA wants a specific type of smart. They don’t only want people who can help get a 45,931kg rocket to the moon and back but rather a team that can get a flight crew back when the 45,931kg rocket craps out which it did for the Apollo 13 crew. Apollo 13 Flight Director Gene Krantz discussed one of the crucial issues they had to overcome after an explosion on the ship forced the flight crew from the command module into the landing module which was not designed to carry the crew around the moon and back to earth. Somehow they had to re-build a filter that would save the lives of astronauts Jim Lovell, Fred Haise and Jack Swigert. The only way a team can enjoy success is for leadership to know what each team member can do individually, incorporate their skill set into the team and then ask to savor the ask of performing at a high level of competency. So, to get somewhere, get to know your team! Getting off on the right foot is challenging and rewarding. 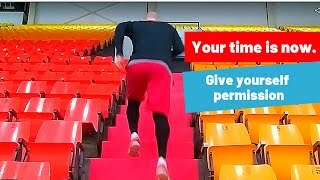 Getting off on the wrong foot is easy and consumes time and energy. For every step in the wrong direction, there are 2 steps backward to make up for getting lost. 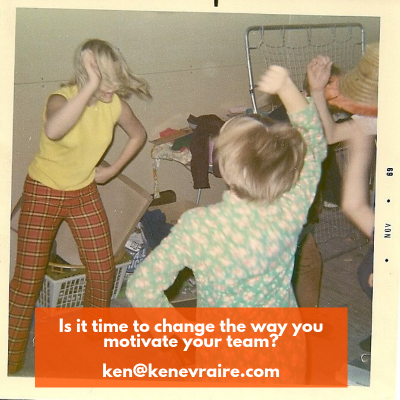 Ken Evraire is an award winning presenter, team builder and coach. As a former professional athlete, he has learned a from great coaches…learned even more from his bad coaches! 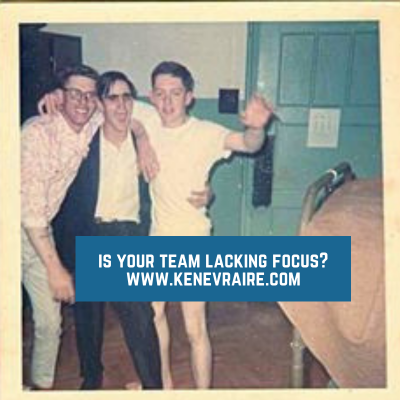 Author Ken EvrairePosted on February 13, 2017 April 5, 2018 Categories Ken's BlogTags featured, leadership. coaching, Ottawa, successLeave a comment on Tomato or Tamata? Know your team!